All of our cakes are custom designed and no two are alike. Prices start at $3 per serving and increase with complexity of design. We will be happy to discuss all pricing with you. 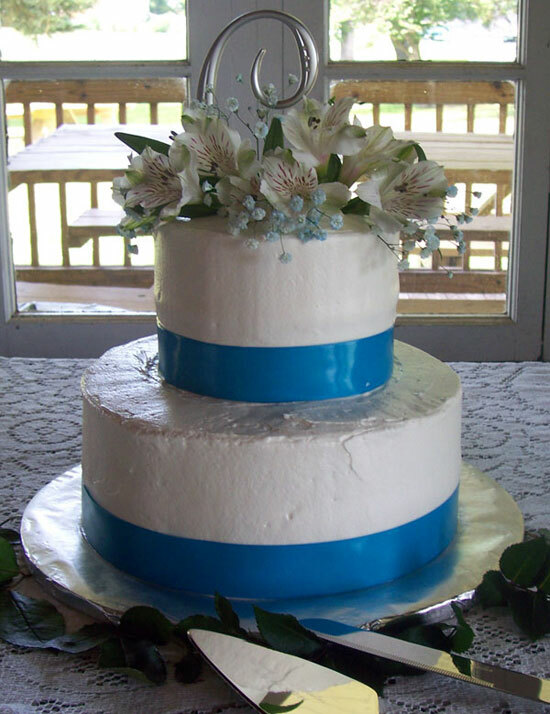 Your cake is our sole focus on your wedding weekend. We use the freshest and finest ingredients available and are able to offer specialty items such as gluten free cake. A non-refundable deposit of $75 will hold your date, this fee will be applied to the final price of your cake. Consultations are by appointment. Tastings are available at your consultation for $25, this will also be applied to your final price. A tasting serves two people and consists of up to three flavors of cake, two filling flavors and two icings. Delivery charges start at $25. Please contact us for details.